Thomas Glen Dietterich was born in South Weymouth, Massachusetts in 1954. The son of a Methodist minister, Dietterich and his family moved to Iowa when Tom was three, and it was there that he spent the majority of his childhood. The family later moved to New Jersey and then again to Illinois, where Tom graduated from high school. As a child, Dietterich was fascinated by electronics and astronomy, and developed a particularly strong passion for the activities of the NASA space program. When Dietterich entered Oberlin College and began his undergraduate studies, he was unsure what he wanted to pursue. He became heavily involved in student government and explored several different areas of academic focus. He also took many courses in mathematics and worked at the campus computer center. In 1977 Dietterich graduated from Oberlin with a degree in mathematics, focusing in particular on probability and statistics. Dietterich spent the following two years at the University of Illinois, Urbana-Champaign. He received his master's degree in computer science in 1979, writing a thesis titled "The Methodology of Knowledge Layers for Inducing Descriptions of Sequentially Ordered Events." During the summer that followed, Dietterich was employed at Bell Telephone Laboratories in Naperville, Illinois. That fall he began his doctoral studies in the Department of Computer Science at Stanford University. As a Ph.D. student, Dietterich worked as a research assistant in support of the school's Heuristic Programming Project, and also sang in the Stanford University Chorus. It was in the choir that he met Carol Rivin, who would later become his wife. Rivin completed her studies in molecular biology in 1984 and, later that year, began working at Oregon State University as a junior faculty member in the Botany and Plant Pathology department. 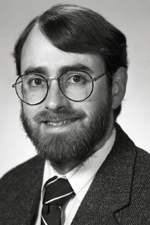 Dietterich received his Ph.D. eight months later and followed her to OSU, where he was hired as an Assistant Professor in Computer Science. Dietterich has since established himself as a leading thinker in the field of machine learning. 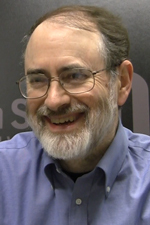 During his early years at OSU, he explored methods for teaching computers to pronounce English through the mapping of English words and phonemes, and the use of error correcting codes. He later worked on an algorithm called Compass, which was used by the Arris Pharmaceutical company to synthesize small molecules, including artificial erythropoietin. In the early 2000s, Dietterich's research switched focus to hierarchical reinforcement learning, which he applied to a variety of real-world problems, including the effort to curb the spread of the invasive tamarix tree. Indeed, as the decade progressed, Dietterich became increasingly involved in collaborative work with ecologists at OSU and elsewhere. In one noteworthy project, he worked with ornithologists at Cornell University to build computer models of bird species distribution and migration. While working at OSU, Dietterich has also been involved with several private sector ventures. The Senior Scientist at Arris Pharmaceutical Corporation from 1991 to 1993, Dietterich has held similar positions at Strands, Inc. and BigML, helping to develop recommendation software at both companies. Dietterich has also been actively involved with a number of professional organizations. Most notably, he co-founded the Machine Learning Society in 2001 and served as its first president until 2008. He also became the director of Intelligent Systems Research in OSU's School of Electrical Engineering and Computer Science in 2005. In 2013 Dietterich was honored with the title of Distinguished Professor, granted in recognition of his having achieved international stature and influence within his field. Dietterich retired from OSU in 2016.